Product Sample: I received a couple of collars from Martha Stewart Pets. Affiliate Links: If you click on a link in this post, I may make a very small commission. I don’t think it’s a secret that Rigby is a typical Shiba Inu. He’s full of attitude and finicky as all get out about nearly everything. Except food. He’s not very discerning about that… But clothes? You are kidding, right? The first time I tried to put clothing on him he was about 4 months old and it was one of the first times he’d ever copped an attitude with me. The next time I attempted it, he had wised up and was not shy about growling at me. I did attempt a Halloween Costume with him last year. I found the cutest glow in the dark skull outfit at Target and thought Rigby might have changed his mind. Nope. He stood like a statue, and if I touched him he growled at me. And when I took it off, he wanted nothing to do with me. Point taken. 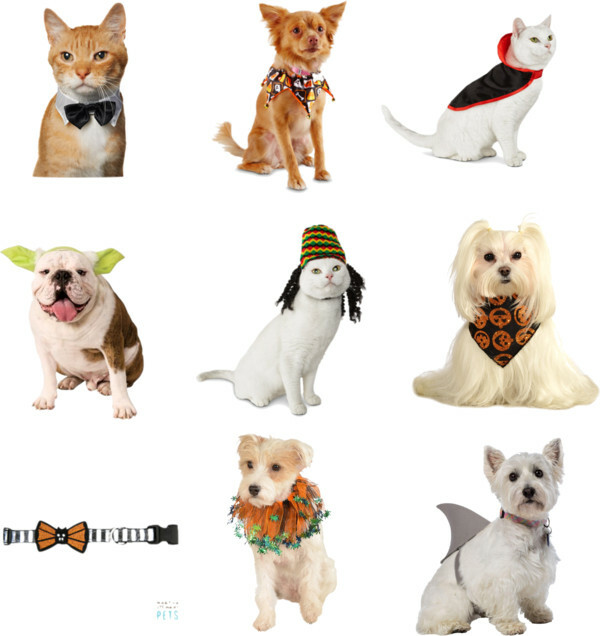 Additionally, Martha Stewart Pets was kind enough to send over an extra Halloween Collar so I thought I’d give it away! It’s a super cute bone candy corn print, and is a size large, which fits necks between 18 and 26 inches. I’ll be throwing in a few tricks and treats of my own from Rigby and me for your pet too! Because I want to make sure it makes it before Halloween, U.S. residents only please. 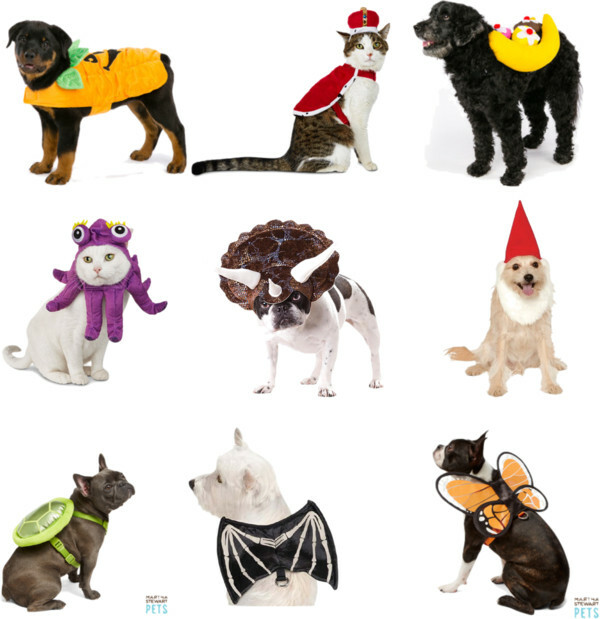 Do you dress up you pet? If so, what are they dressing up as this year? I love that little shark fin :) My two dogs like/don’t mind being dressed up so we go all out every year. 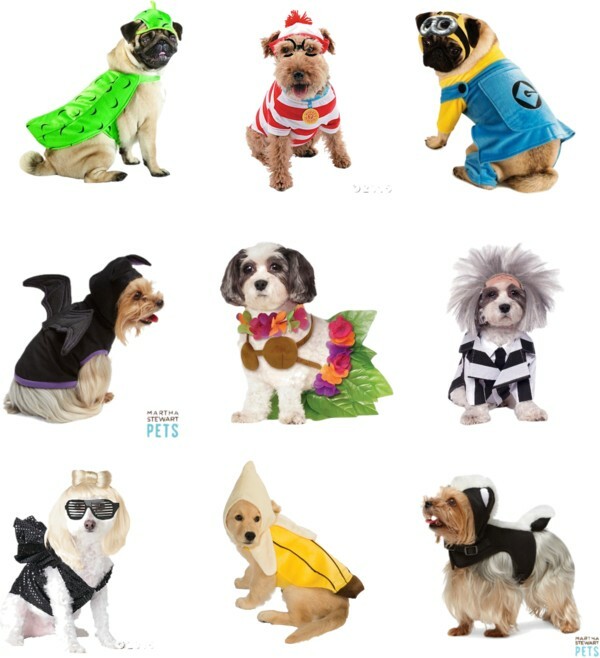 We actually have that minion costume for both the dogs! We also have a Buzz Lightyear suit! Oh my gosh, that sounds way too cute! Love the minion idea, and Buzz Lightyear is probably adorable too! Mine is the same way–he is NOT a fan of wearing clothes. But the collar I could definitely get away with! Haha, glad we’re not the only one with a diva Shiba! The collars are definitely manageable and pretty cute too! So cute!! I love dressing Sheba up for Halloween! Still trying to figure out what she’s going to be this year! Aw, how fun! Can’t wait to see what you end up dressing her up as! I love the bowtie collar! I haven’t tried putting a lot of clothes on Sky, but I think she would fall in the sort-of category. Haha, I don’t blame Rigby either, I’m sure it’s rather uncomfortable and hot for him anyway! ;) Cute collars will have to do! Hope you find the perfect one, Ashley! Did I tell you that Gatsby is going to dress up as a Shark for Halloween?? Since he’s so big and white we’re saying he’s a “great white shark”. Can’t stop laughing about it. NO! That sounds so adorable! Can’t wait to see photos. These are all so cute. Rosie HATES it when we try to put clothes on her, she gets so sulky and acts like her back legs don’t work. I brought her home a lady bug costume last year and the second I pulled it out of the bag and said: “Look, Rosie!” she hi-tailed it to her kennel. So, I definitely need to find a fancy collar or bandana for her to wear this Halloween! 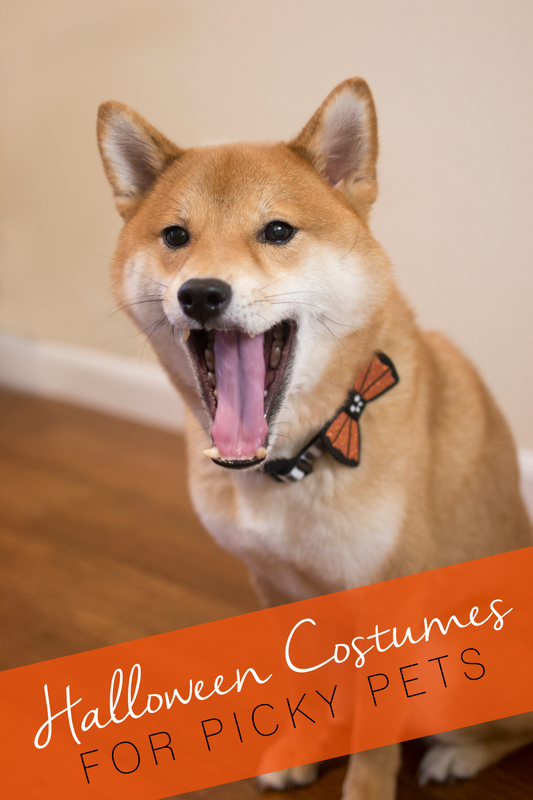 Ha ha …I love this post…those costumes are all so adorable! The cat cape especially. I have never dressed my kitty, I had a horrible time keeping the Seahawks hat on her head, let alone a costume..lol. Hope to see you again soon, Are you going to the style event at Pacific Place? I was thinking of doing a superhero theme with Starla. So she could be batgirl, I could be superwoman, and my boyfriend will have to find a superhero of his own. First halloween with Starla (last year I had to work)! Aw, that sounds beyond adorable! Can’t wait to see photos! Aw! Rigby is such a cutie. I’m going to give Halloween costumes a shot for the first time this year, each of my cats has a very different personality so we’ll see how they each react! I used to have a cat who would very grudgingly tolerate being dressed up. He didn’t bite, but he sure didn’t like it. I would love for my dog to dress up as a bat! Aw, that sounds adorable Darlene! I always attempt to make my dog dress up. The night starts off well, but my the end he has wiggled out of one part of the costume! Haha, aw, sounds like he’s a trooper though! I’m not a dress up your animals type of person – no judgement upon those who are, it’s just not my thing. We try to get all the nieces & nephews together and trick-or-treat together! Yes, my baby is dressing up as Alice from Alice in Wonderland this year. Aw, that sounds super cute Amy! My daughters want our Corgi Mix to wear a tutu!